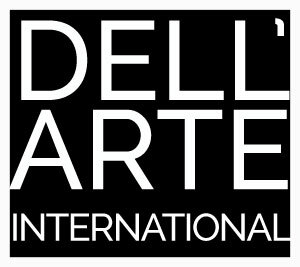 Dell’Arte International was founded by Carlo Mazzone-Clementi and Jane Hill in Berkeley in 1971 to bring the European physical training tradition to the United States and to develop actor-creators through training in mime, mask, movement and ensemble creation. A native of Padua, Mazzone was a childhood friend of sculptor Amleto Sartori, and Marcel Marceau’s first Italian partner. As Jacques Lecoq’s assistant for four years during Lecoq’s Italian sojourn, Carlo was part of the nucleus of artists who reinvented the Italian theatre, commedia, and mask work after WWII in Italy. He came to the US in 1958 and introduced Sartori’s masks to America, conducting demonstrations with a young partner, Hovey Burgess. Carlo developed his teaching philosophy over many years, counting as his chief mentor/influences Jacques Lecoq, Marcel Marceau, and Jean-Louis Barrault. He taught at Brandeis, Carnegie-Mellon, the Arena Theatre, and the American Conservatory Theatre in San Francisco. Jane and Carlo moved to rural Northern California in 1972 in order to raise their young family in a non-urban setting. They started a summer Grand Comedy Festival in Eureka, California and held performances at the College of the Redwoods, while searching for a building to house the school/company they envisioned. They found an old Odd Fellows Hall for sale in Blue Lake in 1974. The Dell’Arte School opened its doors in Blue Lake, California in 1975 in the Odd Fellows Hall, and in 1976, Mazzone and actors Joan Schirle and Jon’Paul Cook founded the Dell’Arte Company with the goal of establishing a company/school-school/company along the lines of Jacques Copeau’s Vieux Colombier, and the hope to grow a resident ensemble, the Dell’Arte Players Company. The first tour was mounted in 1977. Artists engaged for the first production, The Loon’s Rage, included director and co-author Jael Weisman, designer Alain Schons, and actor Michael Fields (now our Producing Artistic Director), who continued as the nucleus of the new company. Donald Forrest joined us in 1978 and he, Michael and I eventually shared artistic director duties until the turn of the millennium. Originally called the Dell’Arte School of Mime and Comedy, the School’s name was changed to The International School of Physical Theatre in the late 1980s as a result of the narrowing definition of ‘mime’ and a desire to investigate a broader vision of theatre and the work of the contemporary actor. The School now offers a one year certificate program in Physical Theatre, a NAST-accredited three year MFA in Ensemble Based Physical Theatre, plus summer workshops, and a Study Abroad program in Bali. School Directors have included Carlo Mazzone-Clementi, Jon’Paul Cook, Alain Schons, Ralph Hall, Peter Buckley, Jane Hill, Daniel Stein, Joan Schirle, Ronlin Foreman, and Lauren Wilson. In 1992, we started our annual Mad River Festival, host to theatre, music, cabaret, and experimental theatre both indoors in the Carlo Theatre and outdoors in the Rooney Amphitheatre, as well as a gospel tent. We expanded our campus in 2011 to include two more large studios, costume shop, mask making shop, and student lounge. In 2016 we began a partnership with the local Wiyot tribe at Table Bluff, and in 2017 a prison project.